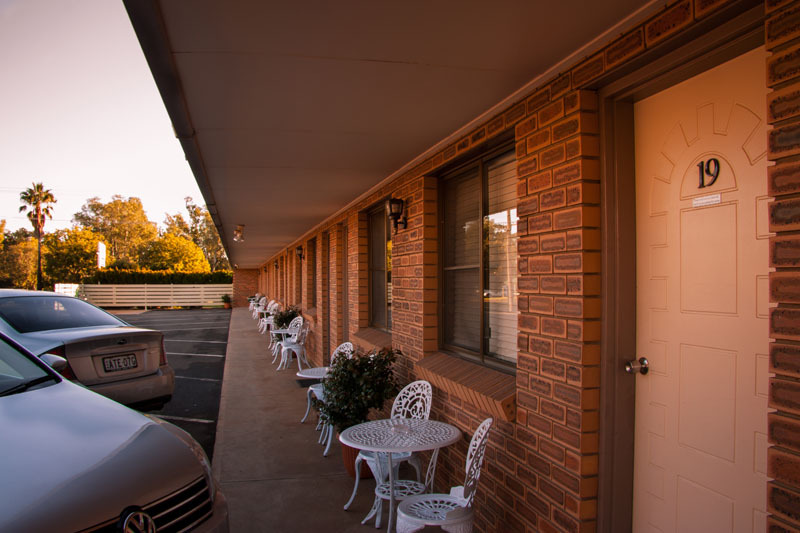 We are a popular motel situated in a quiet secure location off the main Newell Highway. 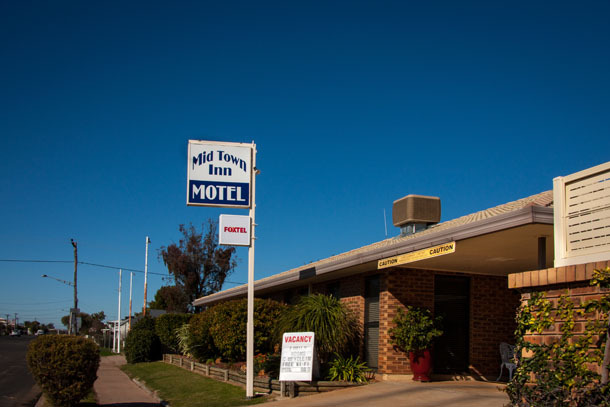 The Mid Town Inn is situated at 41 Maitland street opposite the police station, Court House and Council Chambers close to the centre of town. The motel has 19 rooms all ground level consisting of Double, Twin and Family rooms. The RSL Club along with other restaurants (Chinese, Hotels and Thai) are just a short stroll away. Charge back facilities are available for our guests. The new Aquatic Centre is opposite the motel and The Crossing Theatre is within walking distance. Narrabri is situated on the Namoi River. 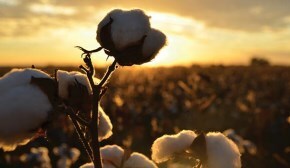 Narrabri is noted for its cotton industry. Coal seam gas and the new Whitehaven coal mine are now being developed.